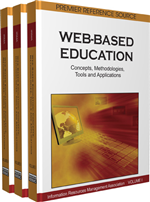 The purpose of this article is to provide a critical review ofthe past two decades of technology use in adult education.The article begins with a brief summary of technologicaltrends, such as the introduction of the Internet and theWorld Wide Web, that have influenced adult education overthe past two decades. Political, economic, social, andpedagogical issues that have influenced the use of technology in adult education are also discussed andpossible solutions to these issues are outlined. The article concludes with an attempt to extrapolate futuretechnological trends that could influence the direction ofadult education in the decade to come.